Croke Park hit the headlines recently when the stadium decided to introduce a hawk to get rid of pigeons on the pitch. 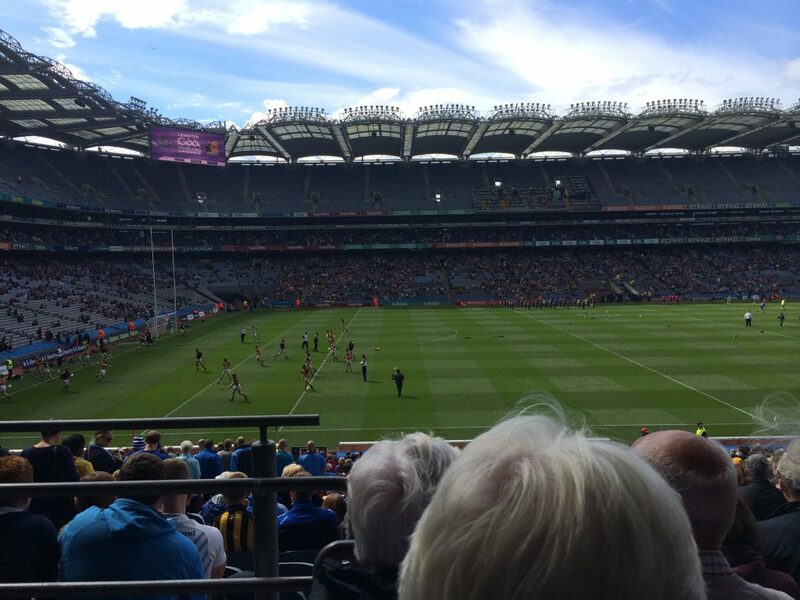 Stadium Director at Croke Park Peter McKenna said recently that they’ve been running an acoustic system for a couple of months and that worked very successfully. “It mimics a hawks cry and the birds disperse but then they become used to it. “They’re probably not really pigeons either, they’re more kind of vermin. The wood pigeon which is a beautiful bird and probably very timid but these are a quasi-breed. “All we want to do is scare them away, hopefully they’ll move across to Clonliffe College or some place like that and nest and roost in the trees there,” he said. Martha Smithers, Stadium Operations at Croke Park, said that anything that can impact the pitch they take seriously. “The pigeons are always present on the pitch, but the seed is a field day for them; it’s like dinner for them,” she said. 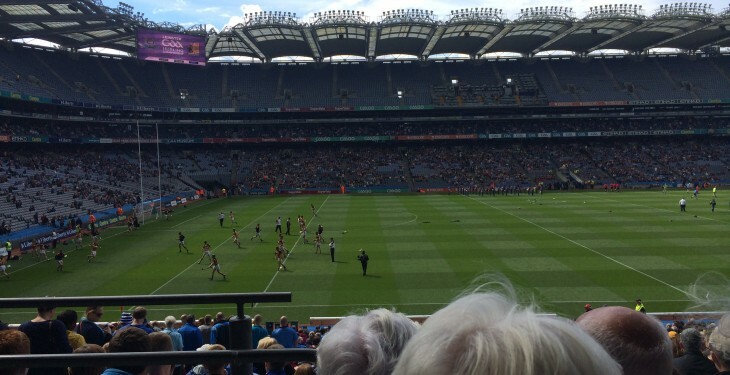 The introduction of a hawk at Croke Park has had an effect on pigeon numbers, Smithers said. “The hawk has been flying for a while as a deterrent and as a bird of prey there has been a reduction in the numbers of pigeons on the pitch. “Other methods we use are flying a hawk kite and noise. We’re constantly reseeding and constantly repairing; reseeding is vital at this time of year with the finals,” Smithers said. With All-Ireland football matches coming up, blanket defences are sure to deter the pigeons and on September 6 at the All-Ireland Hurling Final there will be cats amongst the pigeons!